There is lot of excitation about the fact the roaming tariffs should disappear soon in the European Union, with lots of benefits for consumers in terms of easiness of travels and saving. An important – however non final – decision will be taken by the European Parliament (ITRE Committee) on March 18, 2014. Before starting to clap, it’s worth to remind how the situation really is. The matter started with Commissioner Neelie Kroes launching in September 2013 the so-called Connected Continent proposal, which included a revision of the current regulatory framework of international roaming (basically, EC Regulation 531/2012). The proposal basically provides for some incentives to mobile operators to make “roam like at home offers”, i.e. tariffs plan without differentiating domestic and roaming retail prices. The communication department of cabinet Kroes have been announcing this reform “as the end of international roaming”, but the reality looks a bit different: whether or not roaming will end, this would be a choice of mobile operators, it depends whether the incentive provided by the Commission works or not; however, even if it works, there would be lot of exceptions in terms of timing (entry into force of the reform), territorial coverage (which countries to be covered) and quantity (only a portion of traffic would be covered by the reform: so-called fair usage). In other words, the real end of international roaming is much more far than expected according to the Commission’s schedule. In addition, the reform designed by Commissioner Kroes is based on a system of alliances which would reinforce the position of larger groups (such as Vodafone, Telefonica, Deutsche Telekom and Orange), while kicking out of the market smaller mobile companies (including MVNO). This is quite surprising, because the roaming issue exists because of historical agreements between dominant mobile operators. Consolidating the market position of the same companies which created the problem should not be the best solution, however Commissioner Kroes has other visions. Apparently, in the Netherlands they fight alcolism by protecting the alcool suppliers. The European Parliament never liked the Connected Continent proposal for a variety of reasons (timing, complexity, lack of a positive impact assesment, institutional jalousies, ecc). However, it was clear for many MEPs that the International Roaming story was a good thing to sell to electors in light of the incoming elections. Therefore, the counter proposal coming from the competent committe, the ITRE one, has been much more aggressive than the proposal of Kroes: retail roaming should finish at a certain date, irrespective of the conveniences of mobile operators. At the end, the chosen deadline for the end of international roaming was fixed for December 15, 2015. Will mobile tariffs change or not? Where is the problem with the Parliament’s position? The ITRE Committee did not take on on board the issue of wholessale roaming tariffs (i.e. the price that mobile operators have to pay abroad when accessing a foreign network in order to provide roaming to its travelling customers). As long as such wholesale price remains high (as it is presently), only a few operators will be effectively able to provide roaming like at home thanks to historical bilateral agreements. In other words, 2 operators reciprocally decide the access price on their respective networks, however this will not apply to third operator. Thus, the latter will not be able to compete if such access price is so high to make impossible to provide a retail service, whose tariff should entail such costs. As a consequence, should the text be approved in its current form, it is likely to lead to the disappearance of dynamic smaller players who serve as a force for competition and who are committed to deliver roam-like-at-home packages to all European consumers. 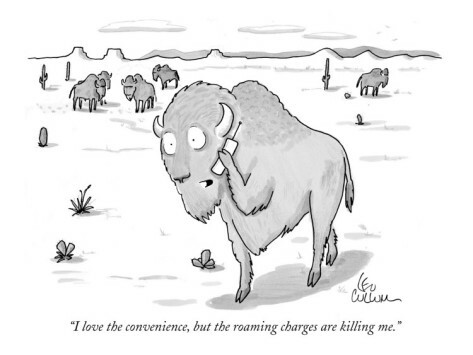 By contrast, the consolidation of the market around few dominant players – the same which historically created the high roaming charges – will likely bring to a rise of tariffs. In other words: consumers will not pay roaming any longer, however this advantage will be adverselly compensated by more expensive mobile tariffs and less choice. It is interesting to see that the European Commission addressed this problem with its first Connected Continent proposal in July 2013, which was however modified after fierce lobbying by dominant mobile operators. The problem connected with this problem has been outlighted by a coalition of competitive mobile and MVNO operators, named Roaming Coalition, see here the press release. After the ITRE vote, a final decision should be taken by the European Parliament in the plenary session scheduled for April 2nd, 2014 (if not, the entire reform risks to fail). Then, the Parliament’s position should be approved by the Council, which will likely submit some amendments. Therefore, a second plenary votation from the Parliament will be necessary, likely in October 2014. In other words, this reform will came into force only on the second part of the year, provided that the new Parliament (elected with the election of May 2014) accepts to acknowledge the work done until now by the previous assembly.